This is no ordinary app. Scout GPS Link is no ordinary mobile navigation app. Not only is the app with you wherever you go, it's designed exclusively for your car’s multimedia screen to give you an effortless navigation experience while you drive. 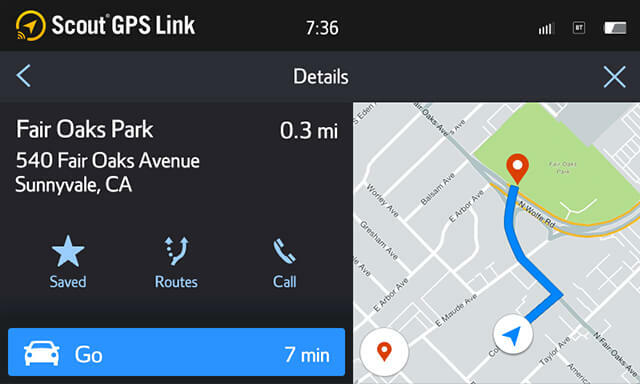 Wherever you’re going, Scout GPS Link makes navigating there a lot easier. Journey from your phone to your car effortlessly. 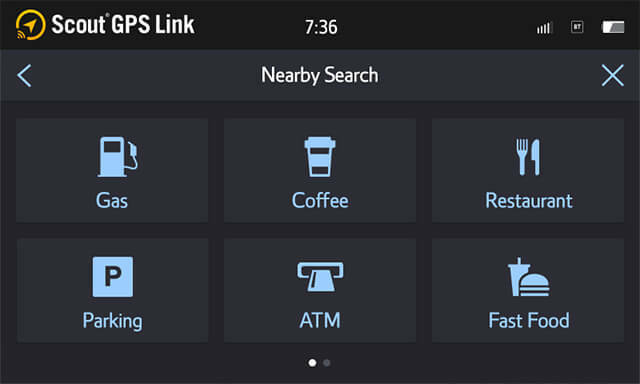 Use Scout GPS Link on your phone to search, see available routes to your destination, and take advantage of the enhanced in-car experience* by connecting your phone via Bluetooth™ and USB. With Scout GPS Link, you have the convenience of two navigation views. Enjoy a full navigation experience with moving maps in MapStream™ mode**, now available in select 2018 Toyota and Lexus vehicles. For select 2017 and earlier Toyota and Lexus vehicles, always know what's coming up next with clear, turn-by-turn directions with TurnStream™ mode. Both views allow you to stay focused on the road with vivid visuals and hands-free voice interaction through your car's Push-to-Talk button. Get all the important information at a glance or tap away on your dashboard. Conveniently access key features, like search, favorites, and one-tap navigation to Home and Work. 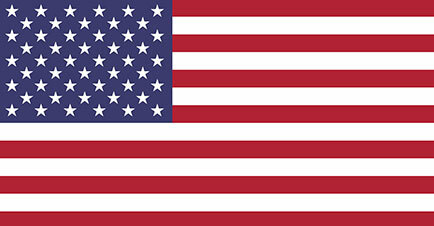 Always know where you are and where you're going with the interactive map available in both 2D and 3D. Scout GPS Link’s intelligent One-Box Search makes finding places easier than ever. Easily enter addresses or places and get suggestions as you type. 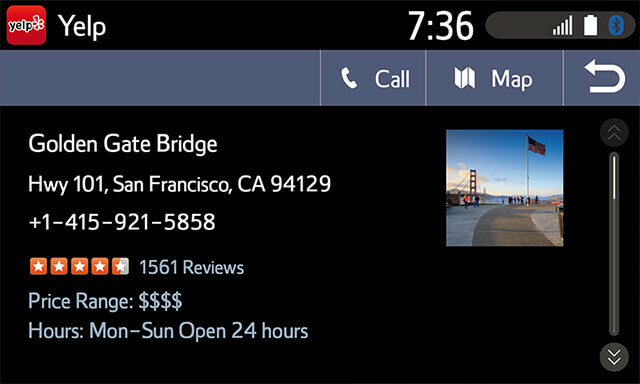 Quickly discover places to dine, shop, get gas, and more with voice commands and popular search categories. Save all of your favorite places to find them faster when you need them and easily route to your home and work with one-touch navigation on your home screen. 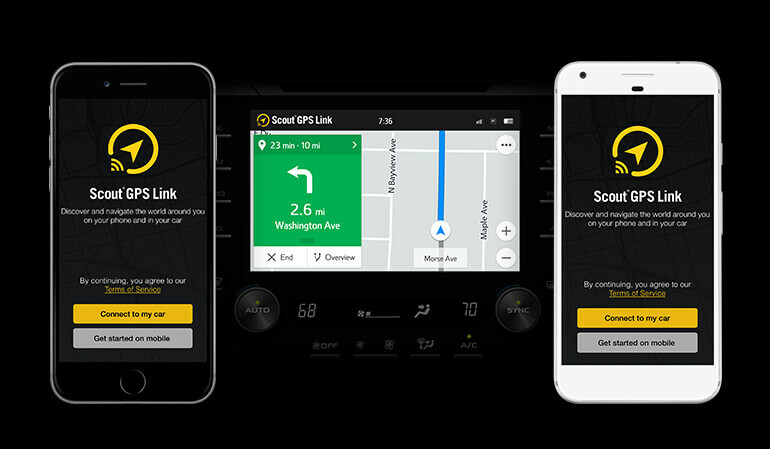 Scout GPS Link makes it easy to get directions even when you’re in other apps, like Yelp and Fuel Prices. Choose your destination and launch right into Scout GPS Link to get there faster. 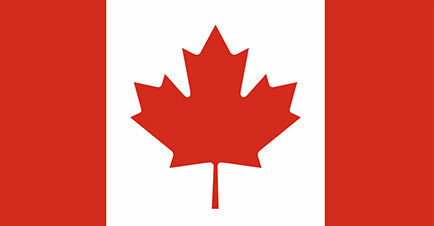 Get the benefits of navigation with real-time information from the cloud***. Find nearby gas stations with the latest prices, up to three different traffic-optimized route options, and real-time ETA. 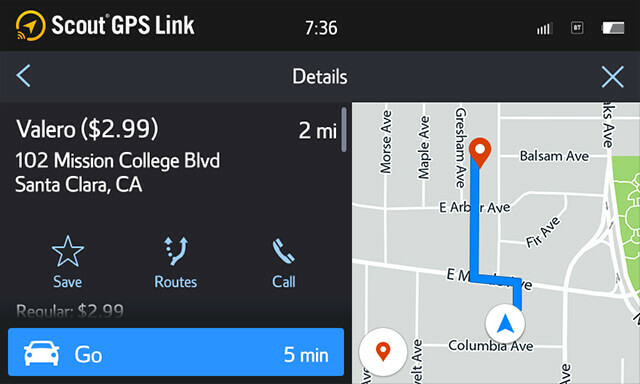 MapStream mode available in select 2018 vehicles with Display Audio. TurnStream mode available in select 2017 vehicles with Display Audio. 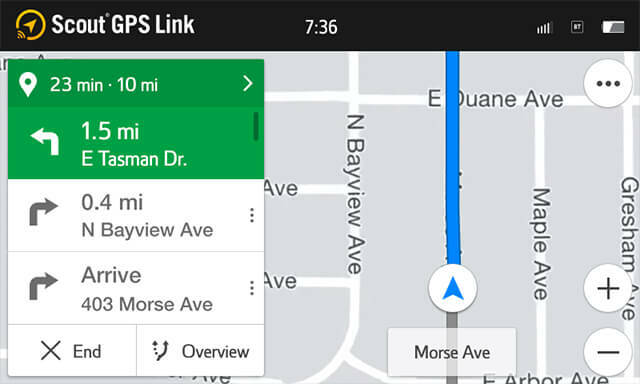 MapStream mode available in select 2018 vehicles with Audio and Audio Plus. TurnStream mode available in select 2017 and 2016 vehicles with Audio Plus. *Scout GPS Link in-car features and experience may vary based on vehicle manufacturer and model. **Available in select 2018 Lexus and Toyota vehicles, Requires Bluetooth and USB; NOT available in 2017 and earlier Toyota and Lexus vehicles. ***Cloud connectivity dependent on mobile phone strength.